Connect your website to social media channels like facebook, instagram or twitter and boost your online presence. Ideally you want to have a specific account in each social media channel specifically for your vacation rental brand (don't use your personal one) which will help to spread the word and will be great marketing. 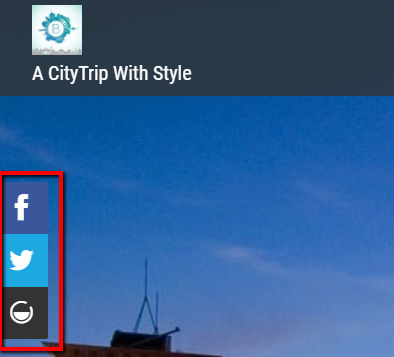 Choose the website you want to add the social media links to, click Edit and select Settings. Go to the Contact & Social tab and insert the link to your social media page. The configured links to your Social Media pages will appear in the footer of your pages. If you want to take it a step further and use your social media channels for your website marketing you could display your instagram gallery on your website, add a Save button from Pinterest on your website or create a book now button on your facebook page that brings guests directly to your website. 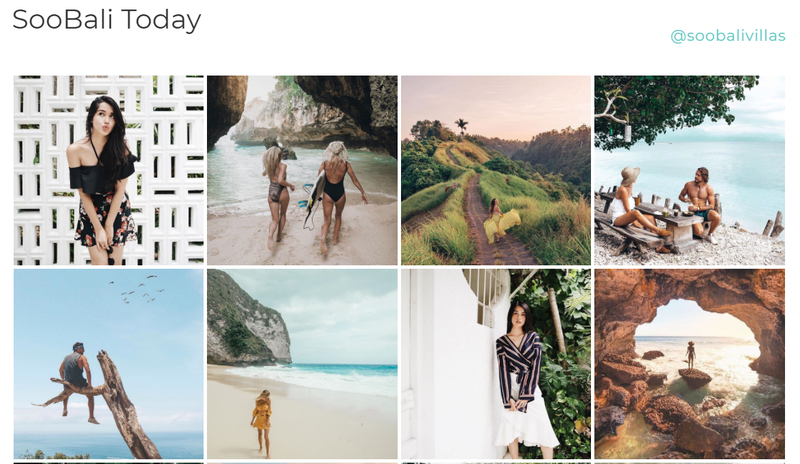 an Instagram gallery widget Use a free tool like LightWidget to embed your Instagram feed directly into your website. It will automatically refresh every 24 hours to make sure your newest content shows up. Learn how to add, edit or remove widgets on your website. a Pinterest Save Button The Save button is the best way for your website to get discovered on Pinterest. When you add the Save button to your site’s pages, your customers can save pictures or content they like to Pinterest. This means that in the end, more people can find your website. Select Content, click Add button and select Pinterest. Then finalize all the settings. 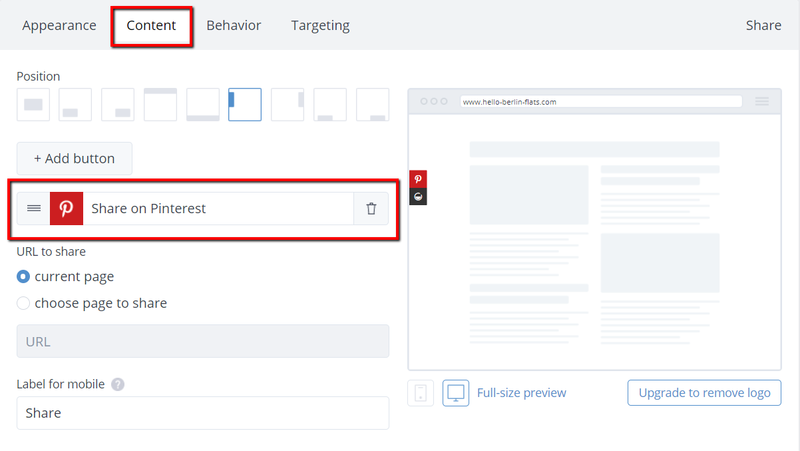 Now, if a customer likes a picture or specific content from your website he can simply click the button and save it to one of his Pinterest boards. a Facebook Book Now Button Integrate a Book Now button on your Facebook business page (not your personal one) that sends potential clients directly to your website to book. Click Add a button, and select which kind of button you would like to add, e.g. Book Services. Select to add a Book Now button and choose to link it to your website. Then insert your website's URL e.g. https://www.hello-berlin-flats.com/, and click Next. 💡 Note: Find out more about how Facebook can help with your website marketing from our blog article, 8 reasons to create a facebook page for your vacation rental.